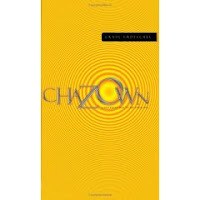 I have recently read Chazown - a different way to see your life by Craig Groeschel. I have read it but I have not finished with it. Its not the sort of book that you just read its a major project. It is challenging and practical. It really is a must read and I will be working through it for some time to come. "Disturb us, Lord, when we are too well pleased with ourselves. When our dreams have come true because we dreamed too little. When we arrive safely because we have sailed too close to the shore. Disturb us Lord!" Will we dare pray this too our Lord today or does comfort call to us too loudly.